Being a parent is difficult at the best of times, but fortunately, Think of the Children is here to help with that. Kinda. Actually, not really, although it does look like there’s fun to be had, trying to keep every last kid safe while working on various tasks. Whether it be setting up camp and going fishing, hitting the beach for a some sun-and-fun, or something as simple (ha!) as going shopping… chaos will ensue in this game. And the best kind, at that. Your mission, should you choose to accept it, is to not only clear a checklist full of objectives, but also to keep the kids involved happy, and above all else, ALIVE! Unless of course you feel like spending time behind bars? No? Didn’t think so. Hope you’re good at multitasking then, as it won’t be long until you’ll have your hands full, trying to balance setting up tents while also making sure no kids have taken to playing in traffic. Stupid kids. Hauled before the court for bad parenting and endangering the lives of your children, the Prosecutors present a series of events as evidence that will either condemn or exonerate you: a birthday party at the park, a day at the zoo, a camping trip, an unexpected visit to the Australian Outback and more. This is where the co-op features come into play. See, while Think of the Children can be played alone, having three other people to yell at and/or help out… is likely going to prove rather helpful. Or maybe it won’t. Maybe they’ll somehow manage to mess things up even more (hence the yelling part)? Only one way to find out, so gather your best friends – or enemies – and show those unruly kids what’s what. 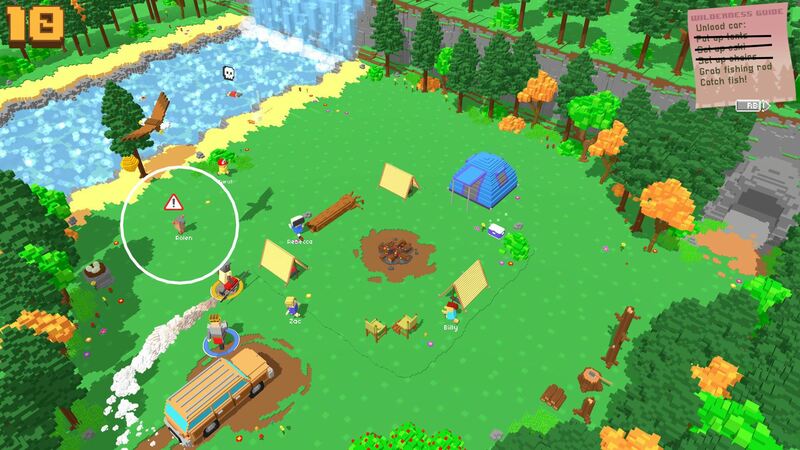 Think of the Children is available from Steam and Humble Store, carrying a $9.99 price tag.